The Southwest Virginia Cloggers Performing and Competition Teams are from Rural Retreat, Virginia. Under the direction and instruction of Dana Burkentine and Ralynda Blankenship, the teams perform and compete throughout southwest Virginia, southern West Virginia, and Tennessee. Founded in 1988 by Dana Burkentine, several age-grouped teams combined in 1993 to become the Southwest Virginia Cloggers. The name represents what we are most proud of and the place we all call home. 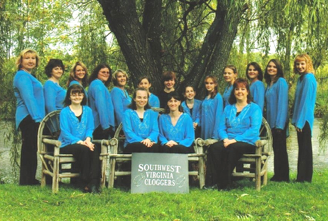 Over the years the team has grown and in 2005 Ralynda Blankenship launched the Southwest Virginia Cloggers Competition Team. 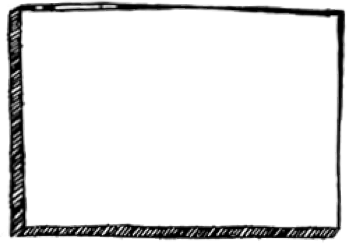 The Competition Team has placed at all events entered, both in team and solo categories. Embarking on a new era, the Competition Team traveled to Myrtle Beach, South Carolina and to Gatlinburg, Tennessee. All members of our teams love to dance. That’s been the beauty of our growth. We are more than a team. We are family. Our main goal has always been to have fun and we’ve managed to reach that objective year after year. The Performing Team learns a new show each season and we enjoy our audiences, both old and new. Our choreography for both teams is a combination of traditional clogging combined with rhythms and steps of Canadian buck dancing. We also like to incorporate our clogging with different styles of music. We feel this keeps our dancing fresh and versatile for all audiences, both young and old. Directors/Instructors, Ralynda and Dana, also teach children’s combination classes – clogging, tap, jazz, hip-hop, and ballet. We hope to instill a love of dance for the generations behind us. Ralynda is a Kindergarten teacher at Rural Retreat Elementary School. She is married to Joey, who co-manages his family’s Jersey dairy farm, and they live in Sugar Grove, Virginia. Dana is a 7th grade teacher at Rural Retreat Middle School. She is mom to daughter, Aiden, and son, Easton. She is married to A.J., production shift supervisior at American Wood Fibers and they live in Crockett, Virginia.